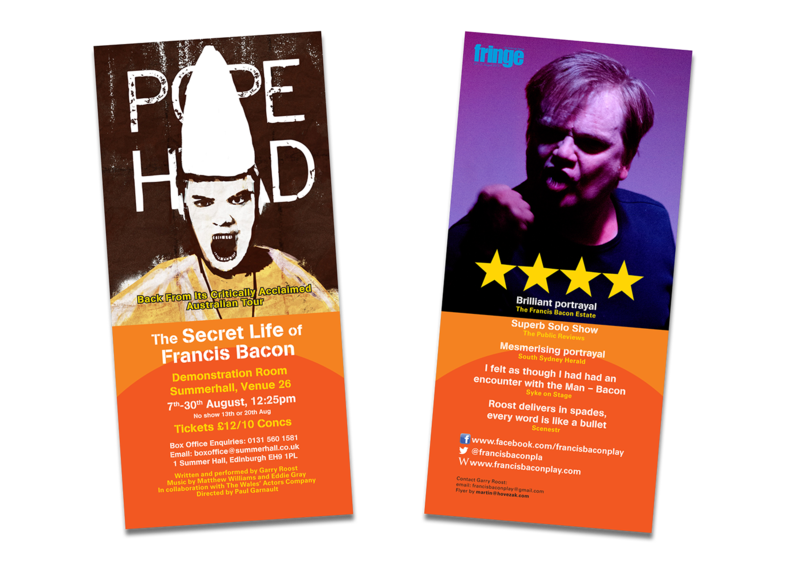 CD Booklet – Inside Spread showing Francis Bacon's sofa plus quote. 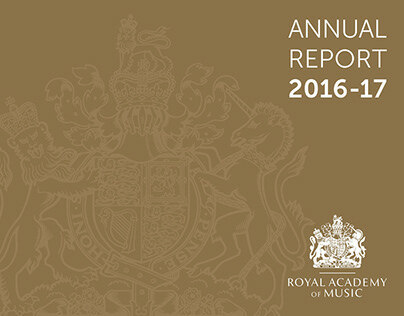 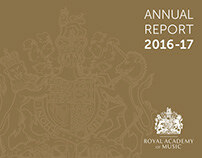 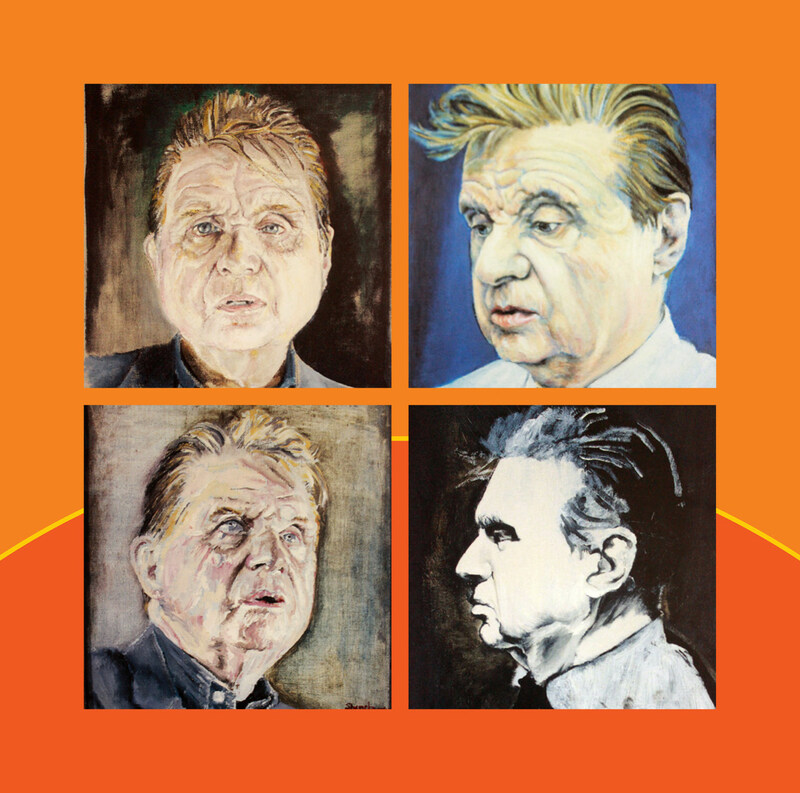 CD Booklet – Back Cover showing series of paintings of Francis Bacon by Clare Shenstone. 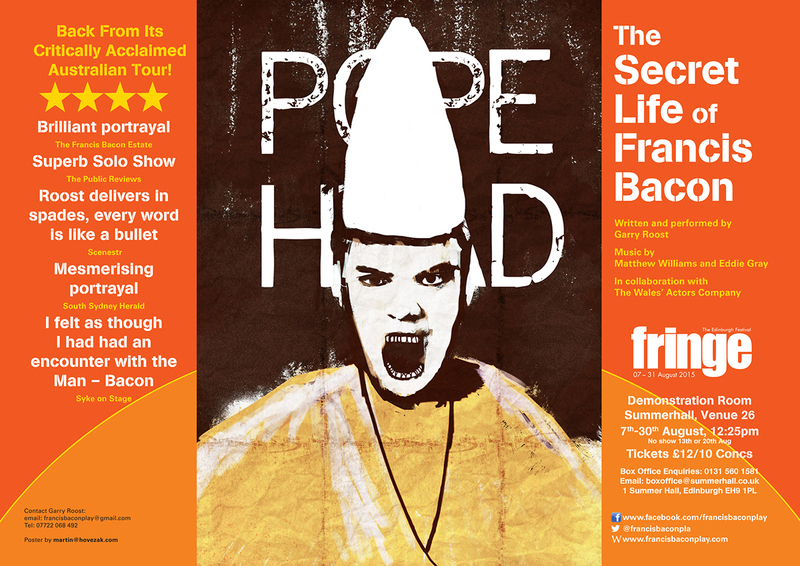 Theatre campaign including poster, flyer, CD for Popehead – The Secret Life of Francis Bacon, Edinburgh Fringe 2015.